The purpose of writing this book is to provide managers and those that want to be with theories, principles and practices from academia that are relevant and useful in the real world. Equally important, this book answers the key questions of why these teachings are relevant and how to apply them. I’ve never written a book; never wanted to. It wasn’t until after twenty five years in the high tech industry at all levels of management followed by seven years teaching management at the university level that I felt compelled to do so. It was then that I fully recognized that industry has a serious problem that is not being addressed and that academia is a part of the problem. Managers like to think that a problem is an opportunity in disguise but a problem only becomes an opportunity when it is recognized and addressed. Until then, it remains what it is; a problem. In the academic world, most students (those that want to be managers) are being taught by professors who have no management experience. I mean no disrespect to the professors but this is truly a case of the blind leading the blind. Experience may not be as important in some fields such as science and mathematics where formulas can be used to determine outcomes but management is primarily about people. Each situation is unique. There are no formulas that provide consistent results. In what academics call the real world (I call it the other world), many employees are being managed (if you want to call it that) by managers who have no pedagogical (educational) exposure to the principles of management that they are supposed to be practicing. Indeed, many managers in the real world learned what they know about management, good or bad, from their managers. If either of them had any management education at all, it was most likely from the professors who had no experience at all! 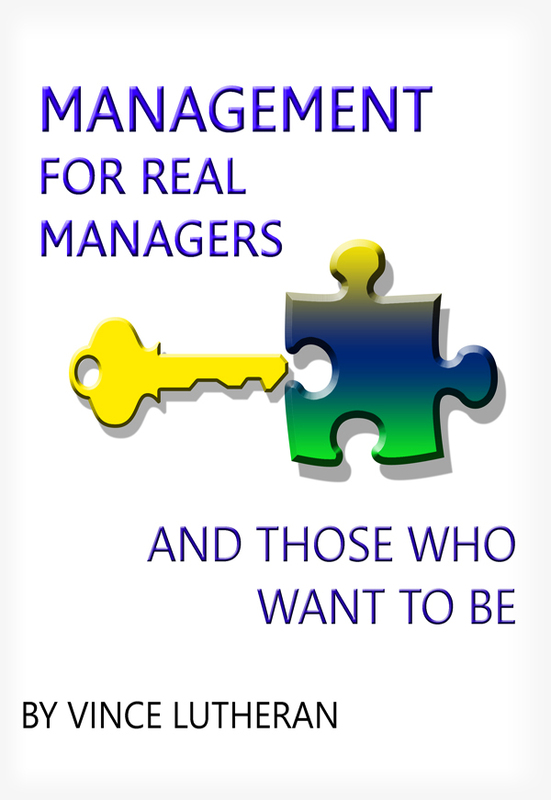 The purpose of writing this book is to provide managers and those that want to be with theories, principles and practices from academia that are relevant and useful in the real world. Equally important, this book answers the key questions of why these teachings are relevant and how to apply them. The book is structured (see Chapter Content) to be read in total or by topic of interest. All material is presented in a straightforward business oriented manner without the usual sometimes interesting but mostly irrelevant academic fluff. Finally, although the book is intended to improve management skills in the real world, it would be a bonus if it also helped to improve the quality of academia’s management education system. You can purchase the book online from Smashwords in multiple eBook formats at https://www.smashwords.com/books/view/433138.